The Feiss Milton one light outdoor post top in Antique Bronze creates a warm and inviting welcome presentation for your home's exterior. Milton exudes attention to detail with a modern design. 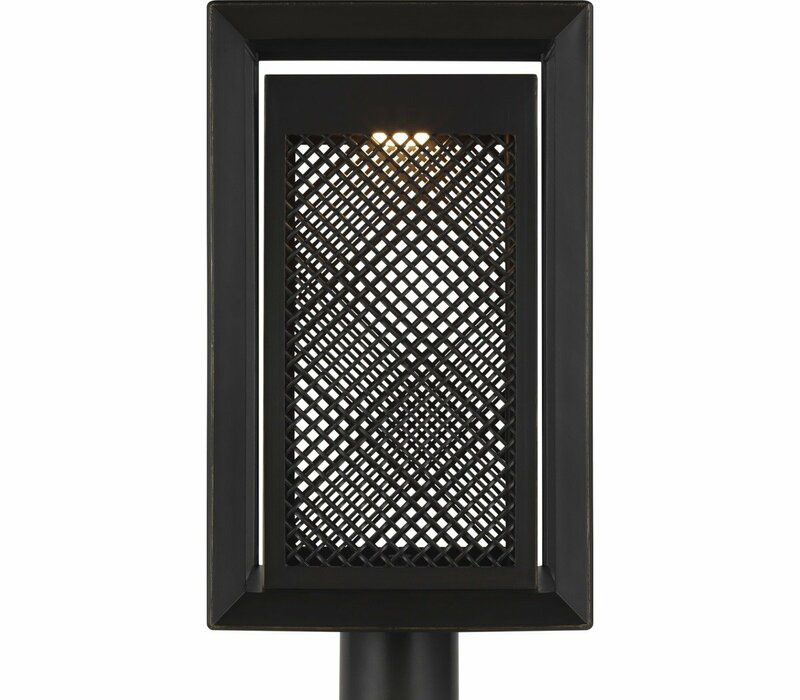 The entire fixture is constructed of StoneStrong material from the backplate to the exquisite lattice-work front panel. 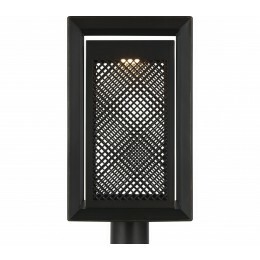 The integrated LED light projects downward, casting a grazing glow through the texture of the lattice detail. The assortment includes: a small, medium, large and extra large wall lantern, and a one-light post lantern.